And speaking of non-monetary value, my local Whole Foods rates high for me on the service scale. 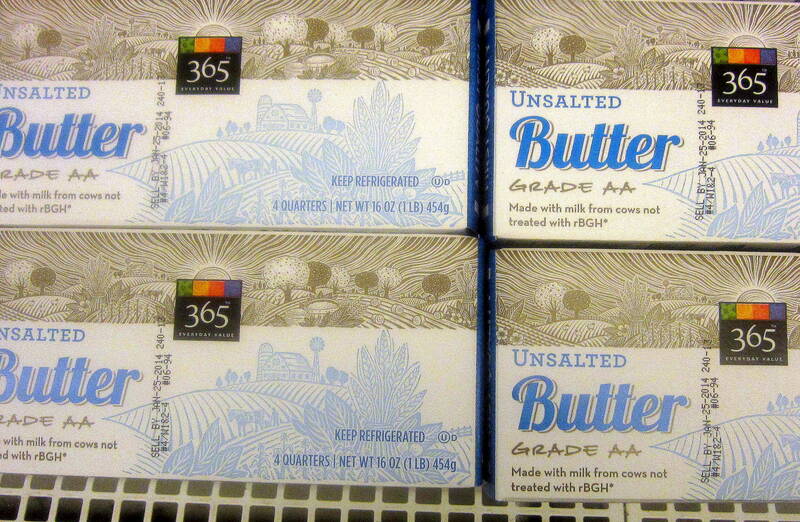 Last week I asked a stocker where the peeled and cubed butternut squash was. She quickly explained that it was early in the season and that the store hadn’t begun to display packages of peeled and cut fall squashes. Then she continued, “Just go pick out a squash and I’ll take it in the back and prep it for you!” That little extra service is a bargain too! 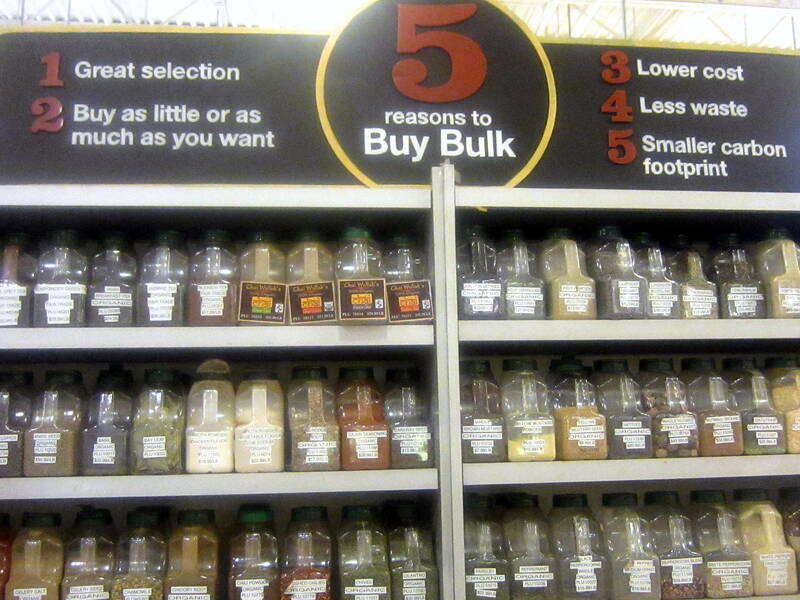 I save lots of $$$ by buying most of my dried herbs and spices in this section. When a recipe calls for a seasoning that I don’t use often (such as cardamom, mace, or mustard seeds) I get what I need from this counter. And, I stock up on my favorites (basil, thyme, rosemary, tarragon) for refilling my spice jars. 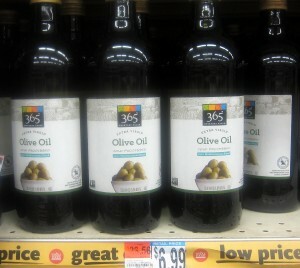 WF’s own brand of olives oils, known as 365, have an excellent flavor and are a true bargain. I most often buy the extra virgin and cold processed Mediterranean blend ($6.99 for 33 oz) to use in vinaigrettes and marinades, and for sautéing. I used to make my own crème fraîche, but now I buy containers produced by Vermont Butter & Cheese Creamery, a local company. 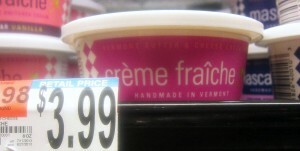 It’s $3.99 for 8 oz at WF, a dollar less than at the other markets in my town. It has a long shelf life so I always have it on hand in my fridge. 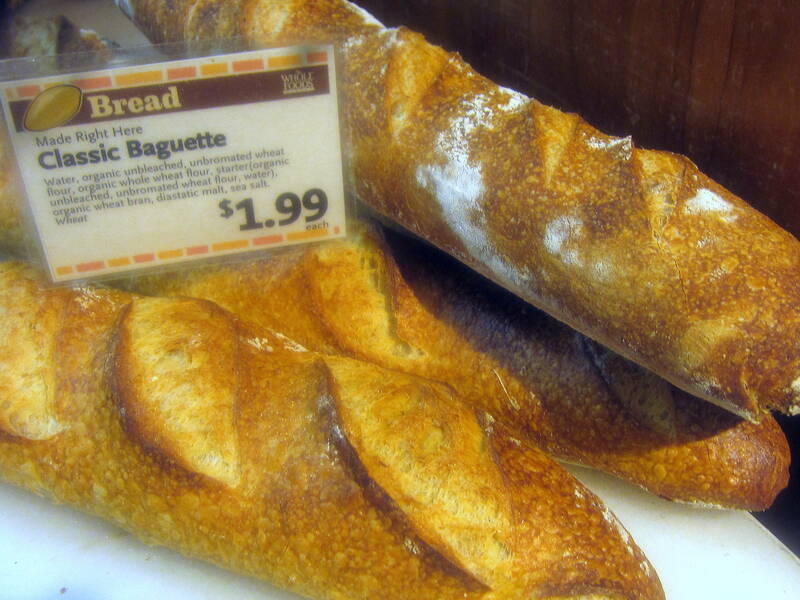 I love this crusty baguette made with a hint of sour dough, and priced at $1.99. It’s excellent sliced into croutons for bruschette or crostini. 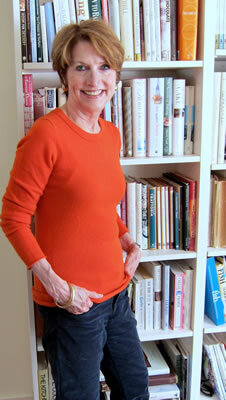 Most often, though, I place a loaf in a hot oven (375 degrees), pour 1/2 cup water on the floor (of the oven, please!) to create steam, and heat the bread for 5 to 6 minutes until it is hot and crisp. 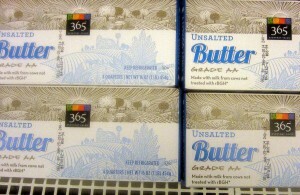 This is a really nice all-purpose butter ($2.99 a pound) that I use for baking and sautéing, and for spreading on good bread like the baguettes listed above! I was skeptical about buying “prepared” meatballs at the butcher counter, but these, scented with Italian seasonings and Parmesan cheese, are well flavored. Extra large (about 2 to 3 inches in diameter), they are good browned in olive oil, then simmered in your favorite tomato sauce and served over mounds of pasta. 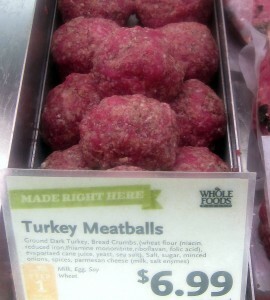 At $6.99 a pound they won’t break the bank! This entry was posted in Food News and tagged baguette, creme fraiche, herbs, meatballs, olive oil, spices, Whole Foods by brosbottom. Bookmark the permalink. Chuck and I agree with you 100%! 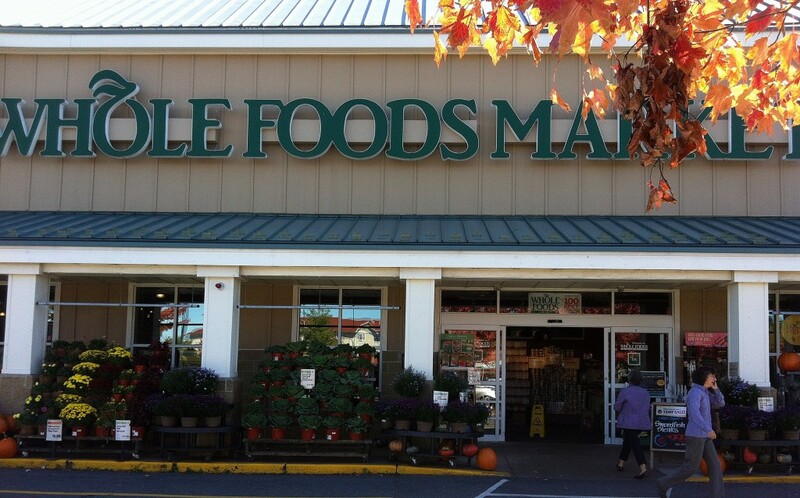 Since the new Whole Foods opened in our neighborhood, we shop there several times a week. Thanks for the suggested items to buy. I will look for them. Those turkey meatballs are really good with the spicy tomato sauce from this casserole of rigatoni, spicy tomato sauce, and two cheeses! Amen! We recently refuted that very comment at a cocktail party, but I didn’t think quickly enough to cite specific examples of saver items like those on your list, Betty. But I go to their weekly flyer before I plan my menus and incorporate some–though never all–of the featured items in our meals. And even if I didn’t do that, I’d shop there because they are a reliable source for organic products, especially dairy and meats. I have to start looking at those flyers too!